Dura Europos ("Fort Europos") is a ruined Hellenistic-Roman walled city built on cliff 90 meters above the banks of the Euphrates river. It is located near the village of Salhiyé, in today's Syria. Destroyed by war and abandoned in the 3rd century AD, it lie hidden until its rediscovery in 1920. Excavations have revealed, among other important ruins, the oldest synaogogue and oldest church ever found. Due to its remarkable preservation and has sometimes been dubbed the "Pompeii of the Syrian Desert." Dura Europos was founded in 303 BC by the Seleucids (Alexander the Great's successors) on the intersection of an east-west trade route and a north-south trade route along the Euphrates. The new city, named for the birthplace of Seleucus I Nicator, controlled the river crossing on the route between Antioch on the Orontes and Seleucia on the Tigris. Dura Europos was part of a network of military colonies intended to secure Seleucid control of the Middle Euphrates. Dura was rebuilt as a great Hellenistic city in the 2nd century BC, with a rectangular grid of streets arranged around a large central agora, was formally laid out. Its location on a major crossroads made it a very cosmopolitan city: inscriptions in many languages have been found here and the religious buildings of pagans, Jews and Christians stand side by side. Dura Europos later became a frontier fortress of the Parthian Empire and it was captured by the Romans in 165 AD. In the early 200s AD, the famed house-church and synagogue were built at Dura Europos. There was also a Mithraeum, a Temple of Bel and a Temple of Adonis in the multi-cultural city. Dura Europos was abandoned after a Sassanian siege in 256-257. In a last-ditch attempt to save the city, the synagogue was filled in to make a fortress, thereby ensuring its preservation. The city eventually became covered in shifting sands and disappeared from sight. 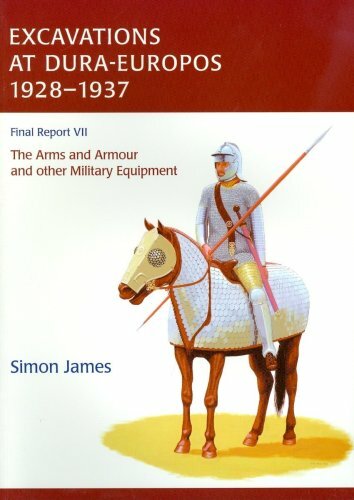 Although the existence of Dura-Europos was long known through literary sources, it was not rediscovered until British troops under Captain Murphy made the first discovery during the Arab rebellion in the aftermath of World War I. On March 30, 1920, a soldier digging a trench uncovered beautifully preserved frescoes. The American archeologist James Henry Breasted, then at Baghdad, was alerted. Major excavations were carried out in the 1920s and 1930s by French and American teams. 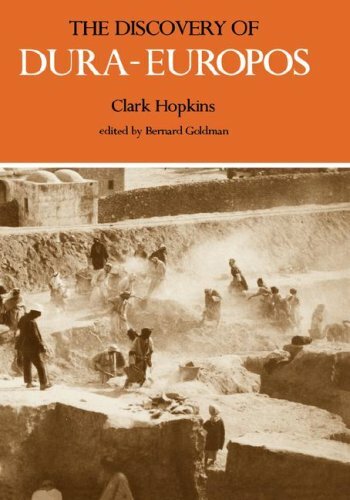 The first excavations of the site, undertaken by Franz Cumont and published in 1922-23, identified the site as Dura-Europos and uncovered a temple before renewed hostilities in the area closed it to archaeology. Later, renewed campaigns directed by Michael Rostovtzeff funded by Yale University continued until 1937, when funds ran out with only part of the excavations published. World War II then interfered. Since 1986 excavations have resumed. Not the least of the finds were astonishingly well-preserved arms and armour belonging to the Roman garrison at the time of the final Sassanian siege of 256. Finds included painted wooden shields and complete horse armours, preserved by the very finality of the destruction of the city that journalists have called "the Pompeii of the desert". The largely mud-brick architecture of Dura Europos does not compare to Palmyra visually, but the dramatic remains of the walls and siegeworks combined with precipitous views over the green valley of the Euphrates makes for a striking sight. And arguably, Dura surpasses Palmyra in historical and religious importance. Dura-Europos was a cosmopolitan society: over a hundred parchment and papyrus fragments and many inscriptions have been discovered at the site, which include Greek, Latin, Palmyrenean, Hebrew, Hatrian, Safaitic, and Pahlavi. Three of the covered homes in Dura Europos had been converted for use as religious buildings. One had become a Mithraeum, dedicated to the worship of the god Mithras, who was popular with Roman soldiers. Another had undergone structural modifications to become a Jewish synagogue. The third home had been converted to a Christian church. The synagogue and church are the oldest that have been found anywhere, and are also remarkable in that they were built very close to each other at virtually the same time. The world's oldest preserved Jewish synagogue in Dura-Europos has been dated by an Aramaic inscription to 244. It was preserved when it was filled with earth to strengthen the city's fortifications against a Sassanian assault in 256. It was uncovered in 1935 by Clark Hopkins, who found that it contains a forecourt and house of assembly with frescoed walls depicting people and animals, and a Torah shrine in the western wall facing Jerusalem. The synagogue's painted walls and roof of baked-brick tiles were transported across the desert 300 miles away to Damascus, where it became the centrepiece of the National Museum built in 1934. Yale had to settle for a copy. 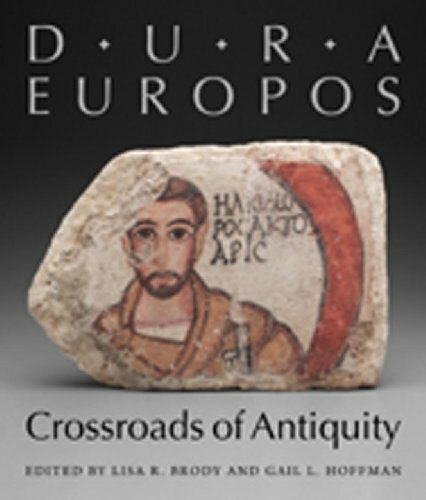 Dura-Europos also boasts the oldest known Christian church. It was dismantled and re-constructed at Yale University in the early 1930s, so there isn't much to see at Dura-Europos but basic foundations. The church occupied a typical Roman upper-class house centered around a columned courtyard with an open room (atrium). In the center of the courtyard was a pool (impluvium). At the opposite end from the entrance was a raised area (tablinum) containing a table and used by the family as a reception area and for ceremonial functions. Scholars speculate that the congregation gathered around the pool, which was used for baptism. In the tablinum sat the bishop, who celebrated the Eucharist (communion) at the table. This arrangement provides a basis for the liturgical arrangement of later basilica churches. The murals of the Dura Europos chuch were painted between 232 and 256 AD and are among the earliest examples of Christian art that survives today. The mural of the Healing of the Paralytic contains the earliest image of Jesus found anywhere. In 1933, an important fragmentary text was unearthed at Dura Europos that contained a previously unknown Greek harmony of the gospels, dated to the late 2nd century. This has been important for early Christian studies, particular those of Tatian's Diatessaron, a more well-known gospel harmony. Excavations have also revealed the ruins of pagan temples dedicated to Greek, Roman and Palmyrene gods, including a Temple of Bel (a Semitic god) and a Temple of Adonis (a Greek god). Preserved in the Temple of Adonis was a 2nd-century dedicatory inscription, which is now in the Louvre Museum. 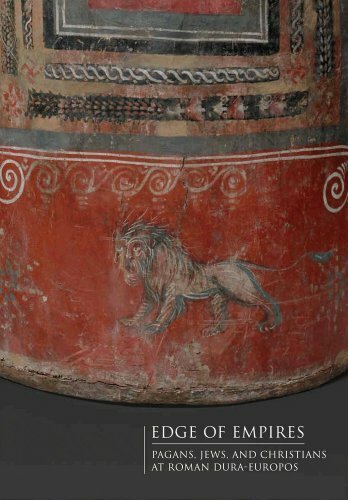 Other finds from Dura can be seen at the National Museum in Damascus and elsewhere. Dura Europos is in far eastern Syria near the border with Iraq and relatively remote from the major cities. Nevertheless, it is increasingly visited by tourists, especially coach tours. One of the houses of the city has been reconstructed to serve as an visitor's center, shop and restaurant. Dura lies close to the main Deir-ez-Zor to Abu Kemal road, and is accessible by bus or taxi, but there is still nowhere to stay in the immediate vicinity. Fresco of Abraham, from the Dura Europos synagogue. Public domain photo. Below is a location map and aerial view of Dura Europos. Using the buttons on the left (or the wheel on your mouse), you can zoom in for a closer look, or zoom out to get your bearings. To move around, click and drag the map with your mouse.